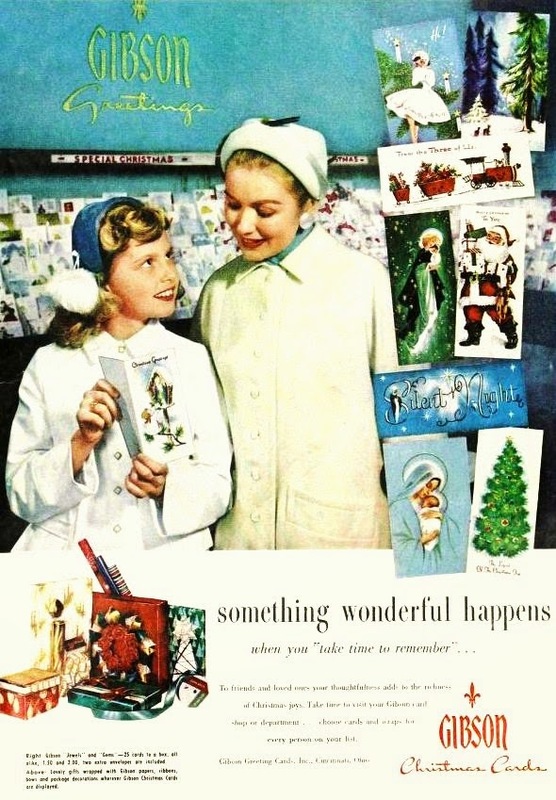 Oh what memories you brought back by sharing your vintage Gibson Greeting Cards ad! My mother-in-law worked there for many, many years & used to tell us stories of meeting many of the artists who drew "for them"...in particular, she always talked about how wonderful it was to meet Helen Steiner Rice. I'm so glad I've discovered your blog...Thank You! I have been going through the old Ladies Home Journals... were so many wonderful mid century items were always advertised. The Gibson card catalogs were always around my Granny's house. Since she order cards from them year round. So I enjoy seeing the ad's for them. 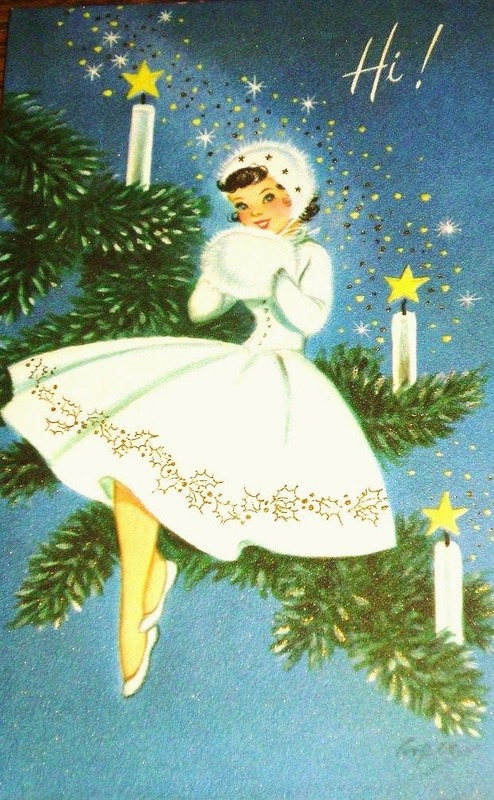 But it is those, pretty girl Christmas cards... that I adore. I stalked eBay for months looking to find a vintage box of these Gibson cards. But can't seem to win them!